Talayot artefacts found in the prehistoric park of Puig de Na Morisca, testify that this region was populated over 3,000 years ago. Another important event in Santa Ponsa’s history took place in September 1229, when Jaime I landed with his armada in Santa Ponsa and drove the Arabs, who had occupied the island for 300 years, away. This event is re-enacted annually by the locals. There are foreign, mostly German and British tourists and residents, who seem to set the tone in Santa Ponsa. For this reason the resort offers a wide range of opportunities for leisure and sports: firstly, the large sandy beach which is the main attraction for the summer guests. There is also the small yacht marina Club Náutico - a beautiful natural harbour, which was extended in 1975 and offers space for 522 boats. For golf enthusiasts Santa Ponsa, with its three golf courses, almost four, as it is also in close proximity to Poniente, is known all over Europe as a golfers’ paradise. Santa Ponsa’s infrastructure makes it particularly attractive to purchasers. Nothing is missing: supermarkets, banks, pharmacies, doctors, restaurants, cafés, bars, and service providers of all kinds – most of whom cater for international customers as they speak German and English. That perhaps is why overseas owners in Santa Ponsa feel very comfortable in this environment and for that reason have bought apartments and villas here. Architects and builders have taken into account this international demand and have created beautiful Mediterranean style, sophisticated residences for this clientele. Karin Ebermann has worked with Minkner & Partner for 20 years and forms part of the management team responsible for the portfolio and sales management in Santa Ponsa. 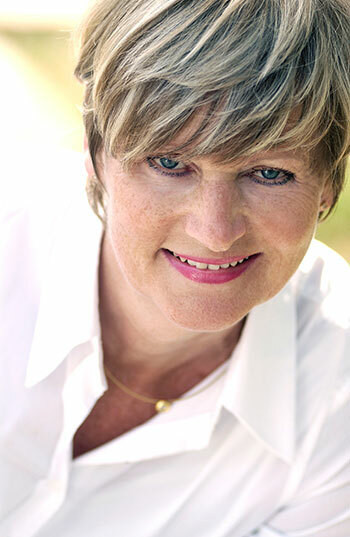 Karin Ebermann stands for real estate expertise: She knows her market (from Port Andratx to Palma), she evaluates real estate, is able to answer all legal and tax questions concerning property and is held in high regard due to her friendly and respectful treatment of owners and buyers alike. If you would like to buy an apartment, a house, a villa or a property in and around Santa Ponsa, please contact Karin Ebermann on +34 971 695 255 or send us an email. “Owners and buyers are much more demanding today than they were a few years ago. The owner who wants to sell requires a reliable valuation of his property and wants to know the bottom line, that is what he will receive taking into account the taxes to be paid. A buyer does not want to work with a self-important sales agent, but one who listens to him when he talks about his wishes and dreams. This prevents any visits from developing into an aimless property sightseeing tour, but one that adheres, as close as possible, to the wishes of the customer. Many sales colleagues have previously worked in the food and beverage industry, or as a gardener or at the airport, and have 20 years ‘ experience of Mallorca’; yes, they have experience of the island, but not in a real estate office. Competence cannot be bought in the supermarket, it is based on years of learning and years of experience, ” states Karin Ebermann speaking of her professional career.